Maggiano’s Little Italy specializes in Italian-American cuisine served in a warm and friendly atmosphere. Maggiano’s menu features both classic and contemporary recipes – authentic pastas, signature salads, prime steaks, fresh seafood, regular chef specials and specialty desserts. Maggiano’s 46 locations nationwide offer lunch, dinner, delivery and carryout service. Banquet spaces for special occasions are also available at select restaurants. Maggiano’s is owned and operated by Brinker International, Inc. (NYSE: EAT), one of the world’s leading casual dining restaurant companies, serving more than one million guests daily. Brinker owns or franchises more than 1,600 restaurants in 30 countries and two territories. In addition to Maggiano’s, Brinker owns and operates Chili’s Grill & Bar. Remove the shells from the crab meat, being careful not to break up the meat. Place in a stainless steel mixing bowl. In another mixing bowl, mix together the egg, mayonnaise, parsley, Worcestershire sauce, mustard, salt and pepper. Mix in the breadcrumbs. Pour the mayonnaise mixture over the crab meat. Using a rubber spatula, fold this mixture into the crab meat gently but thoroughly. Be careful not to break up the jumbo lumps. Cover the bowl and refrigerate for 1 hour. To broil, preheat the broiler and adjust the oven rack to the middle shelf. Place the cakes in a buttered, oven-proof dish. Broil on the middle shelf until brown on top. Gently turn the cakes over and continue cooking until brown on top and cooked through. To make the aioli simply add the sun dried tomatoes and the mayonnaise together and stir well to mix. Taste for additional seasoning (salt and pepper) and refrigerate until ready to serve. 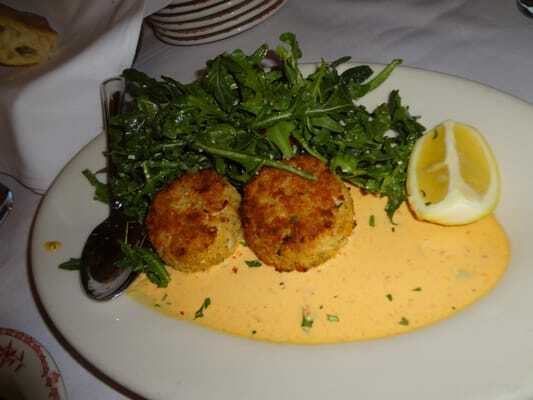 This Jumbo Lump Crab cake looks so perfect. I loved the recipe. Just pinned it! Use this all the time amazing taste and the aioli is spot on.